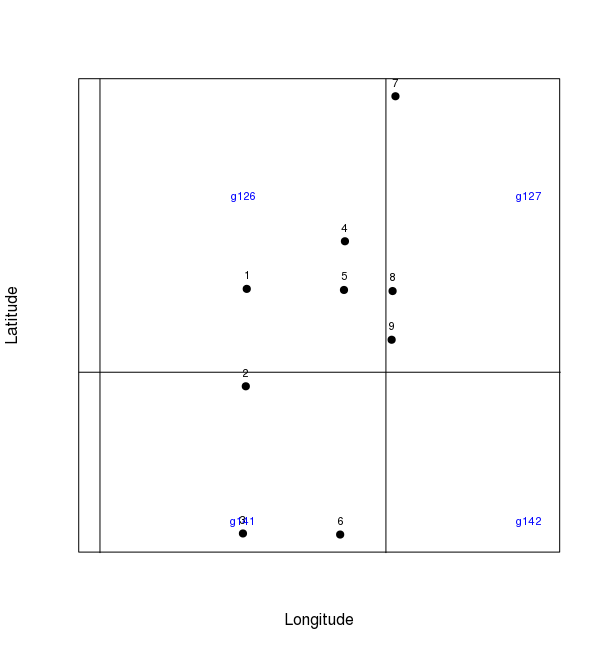 I want to plot the "Values" on the map wrt its "LAT" and "LONG" and create square grids on that map. When the grid is created, each grid will contain some rows of the data set i.e. the "Values" which are plotted. and I then want to extract the values each grid is having. So the fourth column in the dataset would be "GRID" and each row belonging to a particular grid...Of course multiple rows can take single grid values. I am able to plot these points on the map but not able to create the grid. Not the answer you're looking for? Browse other questions tagged r spatial-statistics ggplot2 or ask your own question. How to get a sf with line segments from a data table?